If you are looking for something else to do this weekend (besides celebrating Valentine's Day, that is), I've got a good one for you! And it doesn't matter where you live in the world. This weekend is the 19th annual Great Backyard Bird Count (GBBC). This event was the first online citizen-science project to collect data on wild birds and to display results in near real-time. Every year, hundreds of thousands of people just like you and me walk outside and count birds. You can count the number of birds you see out your window, in your backyard, at your school, at the park, in the country, at a lake, or wherever you want for as long as you want! It all starts tomorrow. 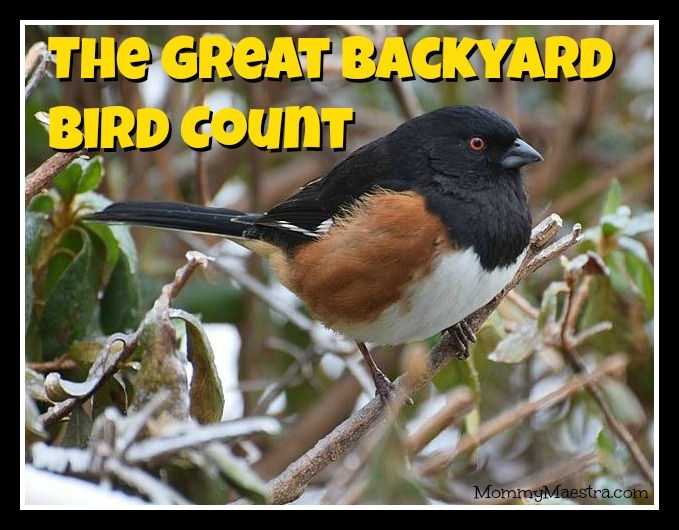 All you have to do is tally the numbers and kinds of birds you see for at least 15 minutes on one or more days of the count, Friday through Monday, February 12-15, 2016. Then upload your information to the GBBC's website. You'll have to create a free account, if you don't already have one like us. But this account gives your family or classroom access to other fun citizen science projects that are free. Citizen science projects are ones in which project leaders rely on global citizens to volunteer a few minutes of their time observing or participating in activities that meaningfully contribute to scientific research. Last year, the GBBC had people in more than 100 countries counted 5,090 species of birds on more than 147,000 checklists. If you have a budding photographer on your hands, you can even share your bird photos by entering the photo contest. Why do we need to count birds? We've all seen the dramatic shift in weather patterns on our planet in recent years. But scientists don't exactly know how these changes are affecting other species. The GBBC helps scientists at Cornell University learn about the changes in populations and migrating habits of bird species around the world. If you are worried you won't be able to identify the birds you see, here's some great news: You can use the online bird ID guides on the GBBC website or you can download a bird ID app to your phone or tablet. 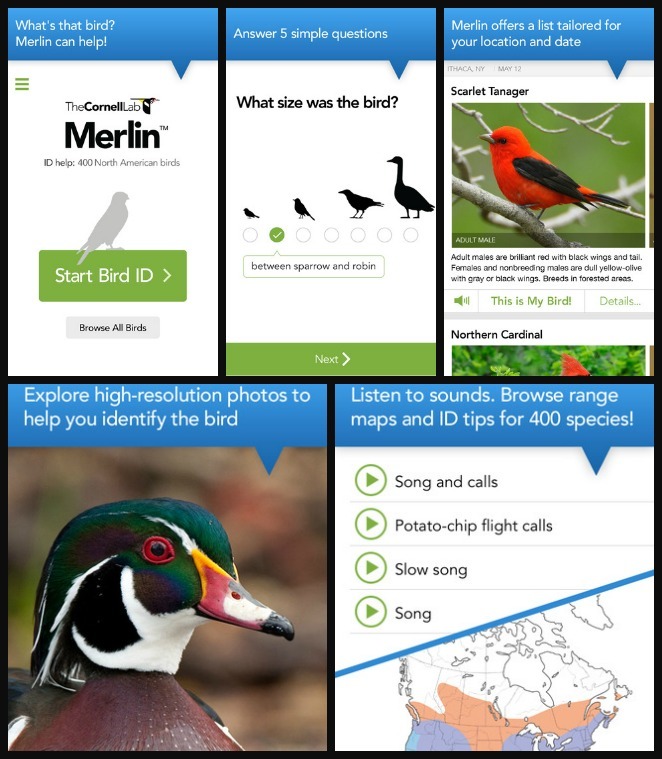 I love the Merlin Bird app! It makes identifying birds super easy. And it is available for iOS or Android. We've done this before and had tons of fun. We'll be doing it again this weekend. I hope that you'll join us! Thanks for sharing! DD is super sick right now so this will be the perfect activity to get out of the house while we can't really get out of house. :-) I'll have to go fill the bird feeder this afternoon. YW! I hope she feels better soon!